Please note: This plugin has been replaced by the AppThemes Logic Widgets plugin which provides Logic Widgets for ALL AppThemes themes! This plugin is no longer being developed. The Logic Widgets plugin adds a number of easy to use widgets that allow you to display information to your users only when certain predefined conditions have been met. Simple to use drag and drop widgets, no coding required! Logic Widgets can be added to any sidebar or widgetised area. All widgets can have their logic reversed – i.e. the Frontpage widget can be configured to output on only the site frontpage or on every page except the frontpage. Quickly and easily display per-category adverts to your users! Use OIO Publisher to charge users to advertise on particular categories or pages! Compatible with Google Adsense, Amazon Affilates and other advertising networks. Descriptions of each widget type and an example use for each can be found under Vantage -> Logic Widgets. Have just purchased and unable to download the plugin. Please rectify! This plugin is so useful and the developer is responsive & very helpful. I highly recommend it for anyone with a Vantage site! This plugin is super handy and has saved me from doing a lot of coding. Am I the only one who’s confused by this plugin? The examples don’t seem to clarify the utility of the plugin. The widgets allow you you add conditional content to your Vantage site without needing to alter, or add, any code. There are a number of widgets that have different conditions ( must be on the front page, the user must be logged in, must be viewing the ‘Cars’ category etc. ) which must be met in order to generate the output you set. – Using the Logged In widget to display content only to registered members of the site. – Using the Post/Listing/Event Owner widgets to display site admin notices or promotional offers to owners of listings. – Using the Front Page widget to create a premium advert zone on the front page. There is also a tutorial on setting up per-category advert zones. Can it generate ads based on the geo locator? So if they are in Atlanta, it pulls ads related to Atlanta or any city? It’s an idea I’ve already been playing with. There are two ways I can see it working. – Be keyword based, i.e: If the location search term includes the keyword ‘Atlanta’ then generate output. This would be fastest but slightly less reliable as it would also match ‘Atlanta Way’ etc. – Enter a lat,lng and max distance into the widget. If the geocoded lat,lng of the location search term is within the distance range then generate output. This would be more accurate but would require extra geocode requests so slower page load times. Ref: – Enter a lat,lng and max distance into the widget. Into the Advert widget? Is this possible now? With what we are trying to do, having ads based on a location would help tremendously!! But is an ad was tied to the ‘city’ of Atlanta, GA, it should pull only those ads. I purchased Vantage and the Geo locate plugin last night. I love everything so far, but there are a few things that would help more. The ad locations being one of them. I am the author of this and the user locator plugin but not involved in Vantage dev itself. You can head over to the Vantage forums to discuss features etc. of core Vantage. There is currently no option in the Logic Widgets to output based on location but it’s something I’ve been discussing with several people. Given keyword matching being so unpredictable I think the only realistic way is setting a lat,lng for the widget and dealing with an extra extra geocode request. I’ll take a look into it and see if I can get something up in the next few days. You say its been replaced by the AppThemes Logic Widgets but i dont see that plugin in the marketplace.. ? The new plugin has gone through the testing process by AppThemes and I’m waiting for them to make it live on the marketplace. I’ve just sent them an email to give them a friendly prod. Hopefully it will be up asap. I to am waiting on this plugin so hopefully it will be available shortly as I really do need this plugin here. Please let me know when this is available. I spoke to Dimitris at AppThemes a little while ago. The new plugin should be live shortly. I’ll let you know when it’s available to purchase. 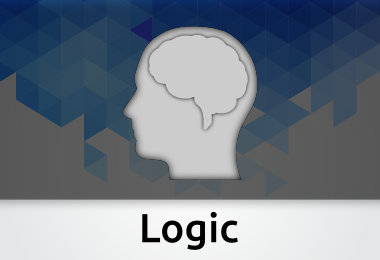 Hi James, the plugin is now live on the marketplace: AppThemes Logic Widgets. Thanks. BTW any idea why no-one has done a front-end upload plugin for Classipress ? Hi Chris, the new plugin is now live on the marketplace: AppThemes Logic Widgets. If you have suggestions for features you would like in any of the AppThemes themes you can add them here Ideas. Users can then vote on the ideas they like. The more votes = the more chance of it being implemented. It may be worth looking for/adding this suggestion here. 1. so with this plugin we can put our customer’s adds and we can charge from them??? 2. and we can place adds by category??? 3. and different adds for all different pages??? 1. The plugin itself does not handle payments – it lets you specify conditions that must be met to display it’s output. You can place any content in the widget output though so easily copy and paste ad network code (Google Adsense, Amazon Affiliate scheme etc.) that handles ads for you or charge customers directly with a plugin like OIO Publisher. 2. Yes, you can set widget areas to appear only on certain category pages. This works for all post types in the AppThemes themes so you can create widgets that appear only on certain ClassiPress Ad categories, or Vantage listing categories etc. 3. A condition has to be met (or specifically not met) but probably any page you wanted to, yes. There are a number of widgets that have different conditions. Let me know if there a particular scenario you have in mind that you would like the output to be displayed on and I’ll let you know if/how to do so. There’s always the possibility of adding new widgets to the plugin to handle different situations. Thanks a lot for deep details, now I know this is really much more great than what I thought. Actually I just want to put my own ads by categories as well as locations same like google Adsense, I don’t want to put google Adsense or any others. I Hope you will understand my requirement. Hi, Yes – the plugin will allow you to output your own advert code according to category or listing. You can see the demo with the plugin working with the Vantage theme.